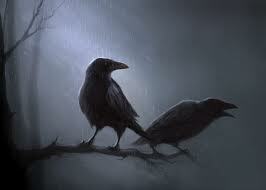 It is that time of the year again...31st October and for some the Celtic New year or Samhain. It is said this event known to most of us as All Hallow's Eve was regarded by the anciens Celts as a day to honour the family's ancestors, allowing harmless spirits to visit whilst warding off harmful ones. Disguising themselves with costumes and mask allowed people to ward off harmful spirits. In Scotland revelers would wear white costumes and blackened their faces. Samhain was a time to take stock of food supplies and prepare for the winter. Bonfires were lit and each home lit their hearth from the bonfire. Traditionally in Celtic Samhain, turnips were hollowed and carved with scary faces then placed on window sills. Since pumpkins are much more readily available in the US and much easier to carve than turnips, children and adults alike use them instead in the making of their jack o' lanterns. As to trick or treat, in some parts of Scotland children still go guising or perform some sort of trick such as telling a ghost story or sing a song to earn their treats. 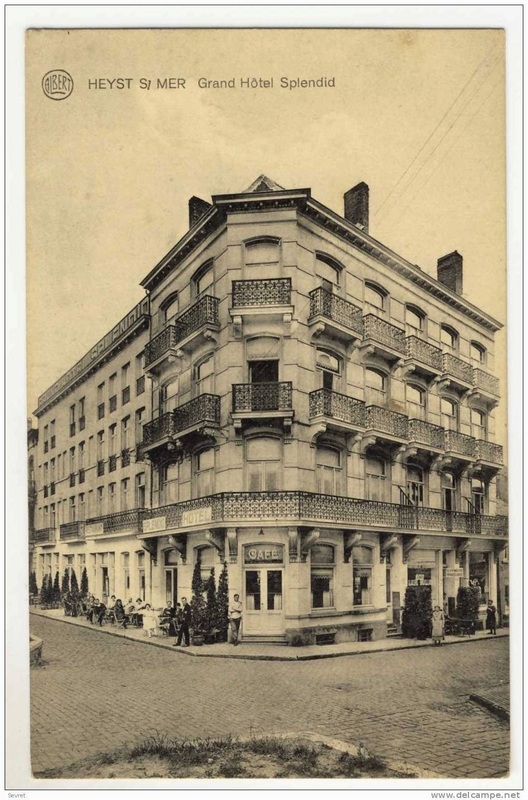 Along with Irish and Scottish immigration in the 19th Century this holiday came to the US. Giving Soul Cakes on All Hallows Eve originated in the UK and the Isle of Ireland in the Middle Ages. These cakes were filled with Cinnamon, Allspice and Nutmeg, Raisins or Currants and the top was marked with a Cross. These little round cakes were referred as Souls and given out to Soulers, children and the poor who would sing and say prayers for the dead. Each Soul Cake eaten defined a Soul freed from the Purgatory thus seen as the origin of the modern Trick or Treating. 1. Cream the butter and sugar together until pale in colour and fluffy in texture. Beat in the egg yolks, one at a time. 2. Mix together the flour and spices. Fold into the creamed butter mix. 3. Gently stir in the currants/raisins. Add enough milk to make a soft dough. 4. 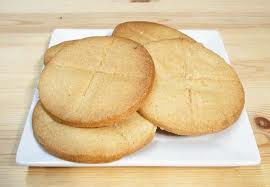 Form into flat cakes and cut each top with a knife to make a cross. 5. Bake on a well-greased baking sheet at 350 F for 10 to 15 minutes or until golden. 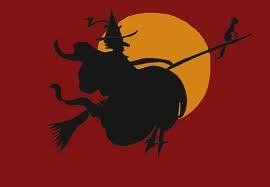 So now like me, you know a little bit more about All Hallow's Eve. 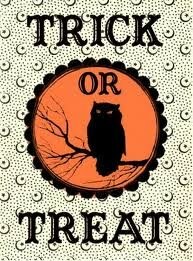 Whilst Trick or Treating, be safe and have fun! 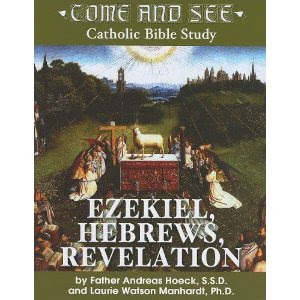 Come and See Bible Study - Ezekiel, Hebrews, Revelation is the latest book in The Catholic Bible Study series. Written by Father Andreas Hoeck, S.S.D. and Laurie Watson Manhardt, Ph. D. this book is especially designed to be used in a group setting and is proving to be an excellent tool for both the novice as well as the experienced teacher. Ezekiel, Hebrews, Revelation gives a sequence of events which allows leaders to plan a complete 60 to 90 minutes session and includes a needs list, an how to guide as well as a practical outline. Following each chapter is a question and answer guide which will further enhance your knowledge. Although Ezekiel has always been a more difficult book to study this guide will in fact make it easier to understand the many visions and dreams of Ezekiel with an excellent outline of how much he influenced Revelation in his writings. Both Hebrews and Revelation studies were found much easier to follow for the everyday student being New Testament books and will give you new perspective on Jesus. Overall, this is an easy guide to use, informative, precise and well written. I would recommend it as an addition to any Church library and I give it a 4 stars! 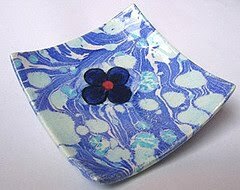 And whilst visiting the Catholic Company please check out their baptism gifts! When I received the possibility to review a Natural and Organic candy called Surf Sweets I just knew it was something I would like. I was not disappointed! My gift parcel contained in fact Jelly Beans, Gummy Bears, Gummy Swirls and Sour Berry Bears and some very interesting information regarding the Tru Sweets Company. This natural and organic candy is made with Organic Fruit Juice & Sweeteners, natural colours and flavours, has 100% RDA of Vitamin C, suitable for many people with food allergies and is one of the few made without corn syrup! And best of all, Made in the USA! My family rated the candies as "Swell, yummy, good flavour". The Surf Sweets are tasting as promised of fresh fruit flavour and we very much enjoyed discovering each one. Of course, we have our own favourites: I like best the Sour Berry Bears and my husband prefers the Jelly Beans. Anyone who knows me will guess I checked out the Tru Sweets Site for the many causes this Company sponsors including amongst others The Ocean Project and Treeswing . I would recommend you take a moment of your time to check their website especially in view of Halloween coming up in a few days: Green Halloween is a healthy and safe way to celebrate this fun Holiday! You can find Surf Sweets at most Whole Foods Markets or use the store locator on their website to find a retailer near you. Please note I received free samples of the a fore mentioned candies. I was not asked to write a positive review and the opinions of this post are my own. If you are a serious churchgoer maybe looking for a better way to help guiding your Church or perhaps a Pastor wishing to make the word of God the most important part of your worship service than this book is for you! 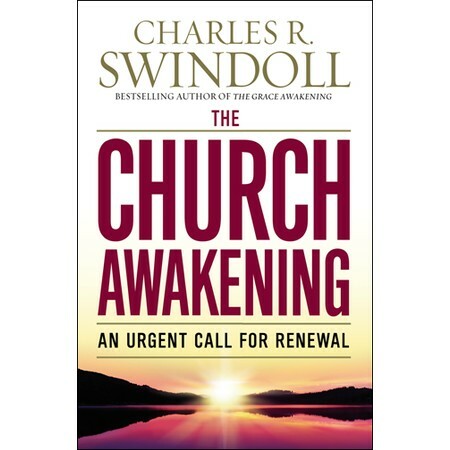 In his latest book, The Church Awakening, Swindoll takes us first to the very beginning of the Church when Jesus Himself revealed to Peter and the other Apostles that "on this rock, I will build my Church. Using the early Church as the very example of how any church should be, not as we too often perceive it these days through the eyes of others, he clearly defines the drifting of the church from its earlier teachings by Peter and his fellow disciples. The sharing of the death on the cross, the resurrection of Jesus, the ministry of giving to the poor, the helping of widows and orphans all seems to have lost their rightful place in our worship. Often today's services resemble a social club gathering with little praise or gospel sharing. In The Church Awakening, an urgent call for renewal, Charles R. Swindoll gives us great insight on how we can work our way back to the basics of the Church in the way he does best, through stories, scriptures and examples of daily living. This is an honest look at the Church the way it is now and showing us that if we are willing, we can change. An excellent source of renewal for everyone and a great book for any church library! I give it a 4 stars! On the 26th of October 2010 we will celebrate the 5th Annual Day of the Deployed. Let's not forget for a moment the many Men and Women who are putting their lives on the line to protect and preserve our Way of Life. Let's also take a moment to remember their loved ones who in turn have sacrifice so much in the name of our Freedom. Take a moment to salute these brave Men and Women, remember a Veteran, help the family of a Deployed Soldier. Write a letter, send a parcel, inquire if the spouse of a Deployed needs help perhaps by babysitting for an afternoon or an evening for i.e. There are many ways to help so please, let's take a moment out of our busy time to remember them. As a Soldier Angel I have the opportunity to make a small difference in the life of a National Guard deployed friend and I enjoy sharing through correspondence and parcels what is happening here on the home front whilst praying she will soon be home amongst her loved ones. There are still many such soldiers waiting to be adopted. Please visit Soldier's Angels site to find out more! Latest news from Soldier's Angels. Will you help? Please help to fill our First Response Backpacks. We have enough empty backpacks, but we need Angel Power to help fill them by sending supplies directly to the Combat Support Hospitals. For complete directions, please email Roger at rgodskesen@soldiersangels.org with the subject line "BACKPACKS." Tell him what you can send and how many of each item and he’ll tell you where to send it. Please note this post reflects my opinion only. I was not asked to write anything about this special event but felt compelled to spread the word! 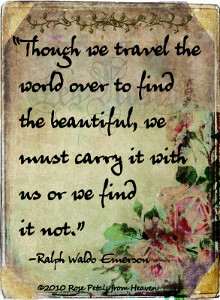 It is always a pleasure to hear what all of us TOGETHER can do to make this a better world! 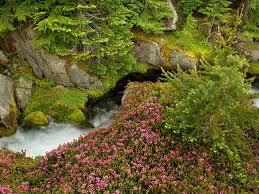 Too often we need to be reminded life is not easy for so many and yet reaching out is such little a thing to do. We CAN make a difference, We CAN help others, We CAN offer HOPE! Like most of us I see the Holiday Season coming up, shoppes advertising their pretty wares and the mood getting jolly just thinking of what we will share with our loved ones. This Season, please remember not just to give, but give meaningfully by helping others to retain their independence, their pride in providing for their loved ones. Please note this posting is reflecting my opinion only and I was not rewarded monetarily. If I helped spreading the word however I feel indeed rewarded! Does Faith really matter when you are struggling with an addiction, when you get laid off from your job, when your home is in foreclosure? In his latest book What Good is God? 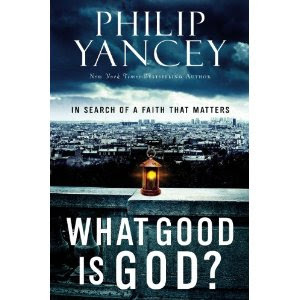 Philip Yancey asks just that question, ultimately proving that to most of us it really matters! Giving excellent examples of how Faith works in our lives, he describes ten memorable events whose aftermath he personally attended throughout the world. As the book unfolds, he gives us the story behind the story with events taking place from the US with the heartbreaking tragedy of Virginia Tech to the underground Church of China. With each story Philip Yancey gives us a glimpse of true Faith as he interviews Students, Pastors, Alcoholics as well as Prostitutes from all over the world thus recording amazing details of love and compassion amongst survivors and participants of world shattering events! This is truly an interesting book, emotional at times as well as factual and I give it 4 stars. 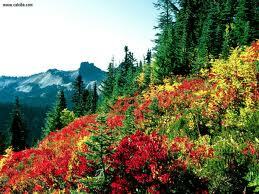 Yesterday was a beautiful Autumn day, blue sky, sunshine and very little to do...The best! So when my friend and neighbour suggested a spontaneous trip "up" The Mountain I agreed and there we went! 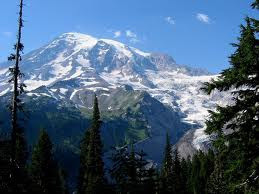 This national park was established on 2nd March 1899 and covers 950 square km of beautiful forests, including The Mountain, known also as a stratovolcano and 26 glaciers. The alpine meadows were in full Autumn colours and the Narada (Hindu name for pure) Falls absolutely beautiful, my first since the Kegon Falls in Nikko national park , Japan a lifetime away it seems but always a fond memory. John Muir once said: "Everybody needs beauty as well as bread, places to play in and pray in, where nature may heal and give strength to body and soul." How very true! This was truly a good day! Christmas is this wonderful time in the year filled with family traditions, love and warmth. The anticipation of this blessed season is a feeling like no other! The child in each of us never fails to marvel at the twinkling lights of the tree, the caroling, the Creche, the sweets and of course the stockings hanged by the chimney. Too often in the festive preparations we forget what Christmas is really all about. Because families are often separated by many miles we also tend to forget our traditions and sadly we do not always pass them on to our children. The Polish tradition of OPLATKI begins with a white wafer beautifully designed with images of Christmas. The entire family gathers around the festive table before the Christmas Eve meal and takes a turn to break off a piece of the wafer whilst wishing the person next to them happiness, good fortune, love and so on. Even your favourite pet can participate with special colored wafers just for them in this symbolic festivity. History tells us this is a Polish tradition celebrated mainly by their nobility during the 17th Century but these days it is a meaningful tradition which is gaining in its popularity. Now that I have learned what is OPLATKI I look forward to share it with my family and friends thus starting a new tradition in our home! Imagine yourself lying very sick in a hospital bed, your doctor walks in and instead of "How are you feeling?" you hear him ask you "How is your spiritual life?" Doctors are not as concerned about your spiritual well being instead preferring to care for your body. In Raising the Dead Chauncy W. Crandall, MD explains both are just as important for he believes both illness and disease battles within our bodies are caused not only by the normal everyday wear and tear of living but also by the forces of darkness. In this book Dr. Crandall will tell you about his own battles with the forces of evil as he fought for the life of his own son. Although he eventually loses this battle he gains a remarkable ability to use God's word as a healing tool. Therefore it is not surprising when Dr. Crandall goes on to describe tremendous miracles throughout the world, reminding us that medicine combined with prayers can overcome illness. God is Good, God is Great and it is His ultimate promise we can be healed, we can be saved. 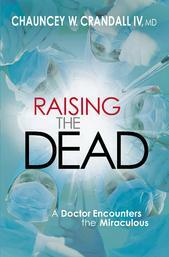 Raising the Dead is not just a collection of stories about miracles, it is the journey of a doctor who no longer keeps his faith and his profession separated. This is great material to involve the whole family in discussions about illness, life and the power behind prayers. A good addition to your Christian library, this book rates a resounding 4 stars! Our little island is blessed with lots of deer albeit I wish their enthusiasm for our flowers would be a tad more restraint! Despite fences (a special netting "guaranteed" to keep them out...) we are always on the lookout for some offender or other. This little family seem to have adopted us and is unusual as Dad, Mum and the kiddies are all browsing nearby. I am guilty of feeding them carrots and apples of course so it is no wonder they like it here! This doe in fact should receive the Motherhood Doe Award! She is incredibly patient with her fawns and remarkably so even when we feed them. Other doe would snap at their off springs but not this one! To all our friends and family overseas and on the mainland, life is good on the island and we are blessed! 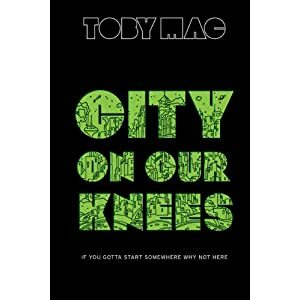 City On Our Knees written by TobyMac is one of these books I guarantee will make you think! Because of my limited (financial) resources I find myself not always able to help out others as much as I would love to. Like all of us, I need sometime to be shown the light! In his book, TobyMac reminds us about those many people across the world who do not just give financially but also time, talents, love and compassion, even experiences, all that God in His infinite wisdom has bestowed upon us. There is no doubt TobyMac's lyrics are uplifting so using his music, biblical passage and quotes of Christians past and present, he shows us how to meet the needs of those around us. In fact he uses incredible examples of how people serve God everywhere and how even the youngest amongst us can do His mighty work! City on our knees is an inspiring tome well written and warmly documented. Anytime you believe you are not doing enough for His Kingdom you will find within its pages just enough fuel to light up your fires and do God's work. I was glad of the opportunity to read this book and my family and I rated it 4 1/2 stars! 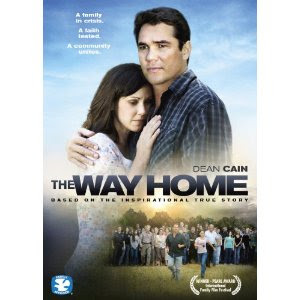 When I received the opportunity to preview The Way Home I was absolutely thrilled. This is my kind of movie, not just based on actual facts but a compelling true story! There is a fine line between providing for and finding time to commit to your family. Randy Simpkins is such a father and preoccupied by work demands, he fails to notice 2 year old Joe is no longer playing in the driveway whilst the car is being loaded for holiday. As the movie unfold, Randy and his wife Christal search for their missing son alongside their family, members of their community and their church. This is a wonderful story of of a spiritual journey back to God's love, faith and understanding of the priorities in a father's life. This movie was produced with the cooperation of the whole Simpkins' family and actually filmed at their home. The actors were carefully chosen for their beliefs as well as their acting. Dean Cain's performance was at its best! This is a powerful movie all parents should see and I will gladly recommend it to anyone! I gave it a 5 stars! Like everyone else I am sure, I check the cover and resume before I decide to read a book. In this instance I must admit I was intrigued by both as I had not heard of the author but the resume started with the following: "For centuries, the legend of the Spider Rock treasure has lured people to West Texas with promises of unimaginable wealth. And it just claimed three more victims." Pursuit of Justice promised to be a thriller, filled with all sorts of twists with faith and romance to boot. I was hooked! 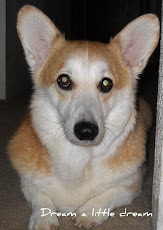 Special Agent Bella Jordan is called to investigate the murders on High Butte ranch near Ballinger, Texas. Carr Sullivan the rancher, is in fact a suspect because he threatened the men who wanted to dig on his land. Carr wants to run a ranch for troubled teens and murders could ruin his plans. According to the legend of Spider Rock Spanish gold is believed to be buried there and someone in Bella's past she has tried very hard to forget might just resurface. This is a story about treasure, the men who are obsessed with a legend that will make them rich. It is also the story of a young woman who finds the strength to face her past with a father who actually sold her to his partner, a man on the FBI Wanted list, and ultimately will discover love and faith. Pursuit of Justice is the kind of suspense novel you just want to pass on to family and friends. This is also a story about love and faith the whole family will enjoy reading! This Christian novel has many twists and characters you just cannot quite figure out. Deception, redemption, suspense, inspiration and excitement in a fast paced action packed novel yet also a story of faith that will climax and leave you breathless. This is my first DiAnn Mills novel and it definitively will not be my last! 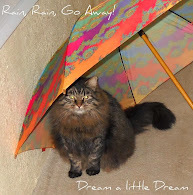 I give it a resounding 5 stars! Cool weather in our house means baking time (lots and lots) and what better time than mid afternoon for tea scones? My favourite scones recipe hails from Ireland and just in case you have not tried these, let me say they are not only traditional but they also turn out perfect no matter your culinary expertise (or lack of as in my case...). Rub the butter into the flour until the mixture resembles fine breadcrumbs. Make a well in the center and stir in enough milk to make a soft dough. Turn the mixture on to a floured board and knead lightly, roll out to 2/cm / 3/4 inch thick. Cut into triangles with a sharp knife. Place on the baking tray and bake near the top of the hot oven for 8 - 10 minutes until golden brown and well risen. Split and fill with ham or cream and voila. The evening is here and of course, this is the best time to peruse the bookshelves for a new book or just continue with the next chapter of a well loved classic.